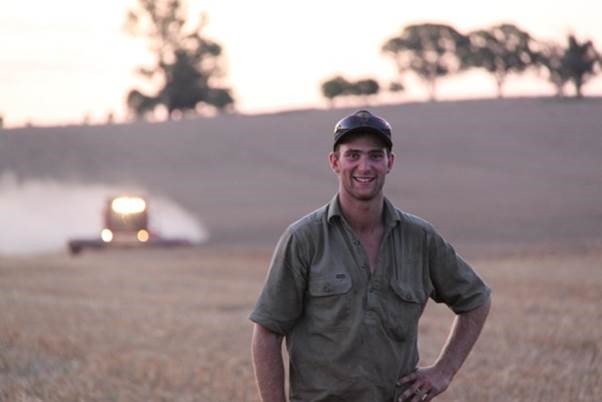 G’day, my name is Daniel Fox and I am lucky enough to be a fifth generation farmer, my family farming in the Marrar (NSW) district for over eighty years. 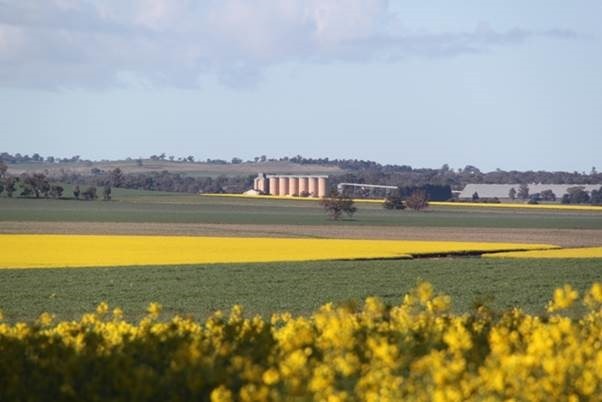 Our property of 2000 hectares is located approximately 10 kilometres north of the Marrar township in the heart of “Prime Lamb Country”. Our farm is run by three generations of my family, with my grandad, my father and myself, as well as my grandma, mother, younger sister and girlfriend lending a hand when the times are busy (which seems to be more often than not these days!!!). 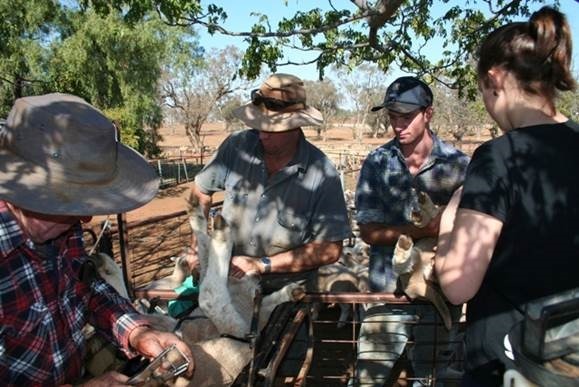 All hands on deck: Lamb marking is a family affair. I have been told that my love of agriculture began at a young age, helping Dad around the farm while still in nappies (although photos show I might have been in the road more often that I helped). 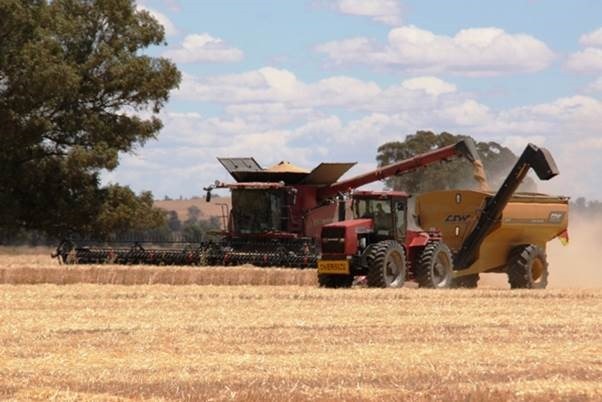 As a toddler, when not outside in some sort of machine with dad, I would get out all my farm toys and make each room in the house a different paddock, coaxing mum into pushing all the toys around and around the rooms, spraying, sowing and harvesting them, all in one day! She still blames me for her “crook” knees. From looking at photos of myself when I was young, I don’t think I stood a chance of being anything other than a farmer. 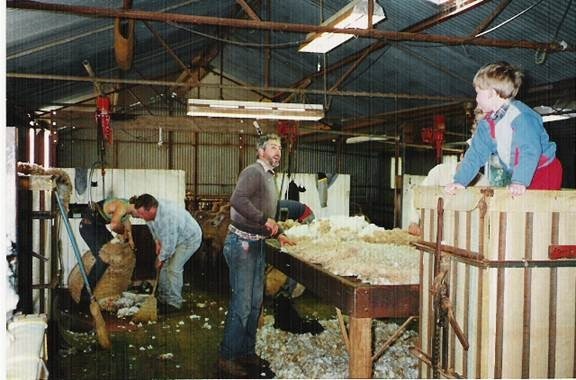 From a young age, I developed an appreciation for all things agriculture, even at shearing time!!! Learning the ropes from a young age. As the years passed, I progressed into my schooling career, which began at the local primary school at Marrar with a grand total of around 40 enrolments from around the district. I have some very fond memories of this great little rural school and its enormous (at the time) playground. View of Marrar silos from home. When my sister began school, I moved down the road to Coolamon Central School, a K-12 school where I completed my HSC in 2009. As the years progressed, my passion and love for agriculture grew stronger, as did my passion for science and mathematics. Throughout my time at Coolamon the school took great care of my interests in science and maths and accelerated my studies, where I completed my HSC extension mathematics and physics whilst in year 10. Through these years, it was a tough choice to stay inside and pursue my schooling interests rather than help on the farm. My hard work and tough choices paid off, gaining some great results I am very proud of. As I was going through those last few years of school, the question of “what are you going to do when you leave school” was often asked of me. My response was always the same; I was going to be a farmer. Many people, who were aware of my success in my studies, often did a double take when I told them the I was going to be a farmer. I would get responses like ‘You should be a doctor or an engineer. You are too smart to be a farmer and you would be wasting your brain if you returned to the farm”. I was proud to respond that that farming today is a highly complex and challenging industry that requires the best and the brightest and its the place I want to be. In fact in my opinion it is far more exciting and rewarding than any other ‘prestigious’ occupation that was suggested to me through school. It was through my later schooling years that I became even more involved in the farm and this fuelled my desire to farm even more. I successfully wrestled the prized “header driver” position from my Dad in my senior years at school, which I’ve always had my eye on since I could walk. When I saw my first good harvest that came after the droughts in the 2000’s that I could appreciably remember in 2010, I felt the great sense of achievement that farming can bring. I began studying a Double Degree in Science and Education at Charles Sturt University. During the four years, I learnt what full time study at university was all about!!! The juggle between study and work on the farm often ended up with me up until all hours of the night in front of the fire trying to catch up with my uni work after coming home from a full day on the farm. All I can say is that I am very glad that those days are behind me! University was a great chance for me to meet a huge number of new friends, all coming from vastly different backgrounds. My passion for farming was often a topic for conversation, and all too often I found that many of the people at uni had never experienced the joys of agriculture and were often unsure of how we as farmers do things. In actual fact, they had many misconceptions about the workings of a farm that were quite amusing. During 2012, I also participated in a Rural Leadership Program run by FarmLink Research, a local agriculture research company. All of the participants had a background in agriculture, and whilst talking to them, this topic of common misconceptions about farming and agriculture was a constant source of humour, with some funny ones coming up like the origins of milk being the supermarket shelf . Farming is our livelihood. We wake up on the farm, walk out the door to the farm, it dominates our conversations with friends and family, and it’s what we love doing. We also know that up to 99% of the population today may not have the generational, educational or experiential understanding of why we do what we do and they are watching every decision we make via the enormous range of multimedia avenues available to them. So the misconceptions about how food is produced is a topic of concern. Farmers rely on the support of people disconnected from the origins of their food who work outside our industry to buy what we produce and ensure the decisions that they make with respect to legislation and policy continue to enable farmers to feed and clothe people ethically and profitably. I am now enjoying a career that allows me to not only begin to take a greater role in the management of the family farm as well as taking every opportunity to raise awareness about how we farm and why we do it and why we love it.